IP phones are the latest rage in the market and people are queuing up to get the best phones before they fly off the shelves. The reason behind the craze is that IP phones come packed with numerous advanced telephony features that the old PSTN phones do not possess. IP phones do not need additional equipment to connect to the communication network or the Internet. For VoIP users, IP phones are the ideal choice as they can connect and start working with the system within a few minutes. IP telephones convert analog voice signals to digital packets and transmit them over a secure LAN or Internet. The biggest advantage of such a system is that it facilitates call connections without using the existing telephone lines so call costs are automatically reduced by quite a few notches. There are several technical advantages of using IP phones and these are far more than the traditional phones. The best thing about using IP phones is that you will be able to retain the number irrespective of the VoIP network you connect your IP phone to. IP phones pack in several advanced telephony features but these may vary from one manufacturer or model to another. Functionalities and features vary from phone to phone and it depends on the users to find out the ones that suit their needs and budget. The graphical LCD display screen is the most vital part of an IP phone as it displays all the vital information related to a call. 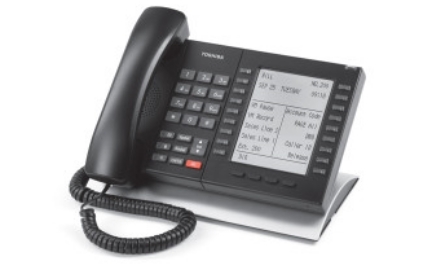 There are even advanced IP phones that facilitate web surfing and video conferencing. Now, the LCD display screen plays a very important role as high quality display enhances usability. IP phones come with numerous basic as well as advanced features and the keys act as the interface that allows the users to access and handle the features. There are several VoIP features that need your IP phone to have certain in-built special hardware to support the advanced telephony features. These can be executed with a few button presses. In order to connect to the internet, you will have to use the RJ-11 port that connects to the ADSL line. On the other hand, if you wish to connect to the Ethernet then it is the RJ-45 port that comes into play. Now, the latest IP phones have multiple RJ-45 ports that allow it to connect to multiple network devices and even turn the IP phone into a switch. Simplex – In this mode of communication, only one way communication is possible. Half-Duplex – This is a mode of communication where two way communications exists but only one can be active at a time. Full-Duplex – This allows a two way communication simultaneously. The latest IP phones are packed with network management features that can be used by network managers to monitor the devices on the network. The protocol that is used for network management is known as Simple Network Management Protocol. The users of IP phones can expect to set and enjoy personalized ringing tones. They can set different tones for different contacts so that they can easily identify the callers just by the ringtones. Data encryption of the all the voice data as well as the multimedia data that comes in or goes out from the IP phones protects it from security threats. Securing the data becomes easy when all the data to and from the IP phone are transmitted in an encrypted format.